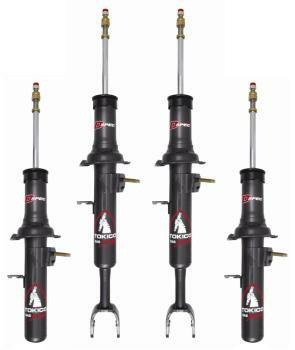 Tokico’s D-Spec Series adjustable shock is a multi-use product that’s the result of sophisticated piston and valving design. In addition, it utilizes a unique variable-aperture bypass, which is controlled by an adjustable slide valve. D-Spec (damping specific) adjustments change both rebound and compression damping simultaneously. Between maximum soft and hard settings, the D-Spec is infinitely adjustable. 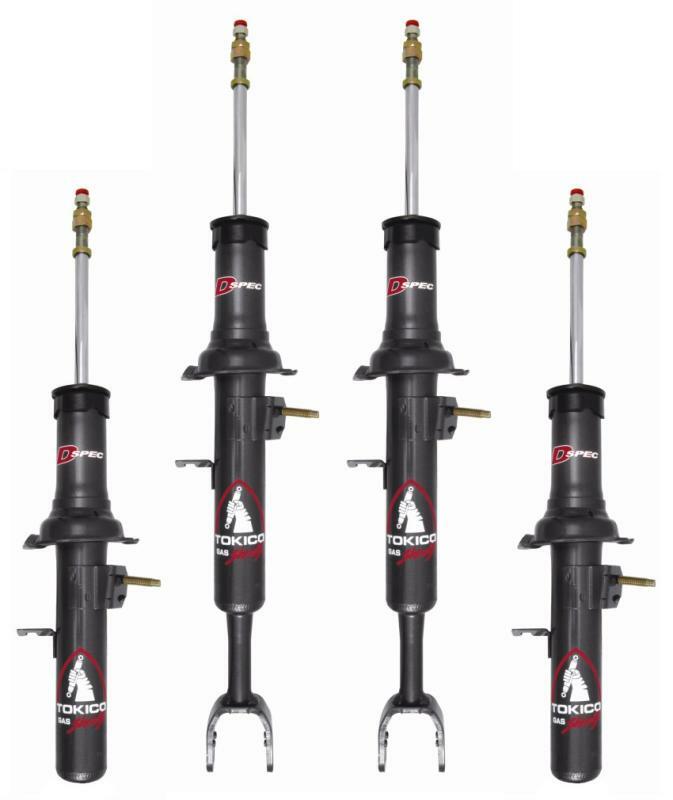 Tokico D-Spec shocks and struts kits are sold in matched sets of four. Each set includes a manual explaining the adjustment process as well as covering suspension tuning tips.